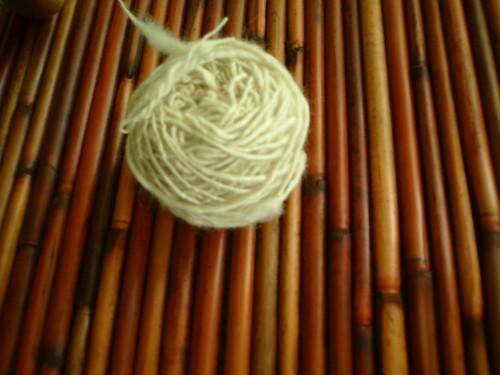 Drop Spindle can be very addictive, I can guarantee that to you. I took a class last year and I decided to take a better class this year with Wonder Mike at A Verb For Keeping Warm. This was a great decision. 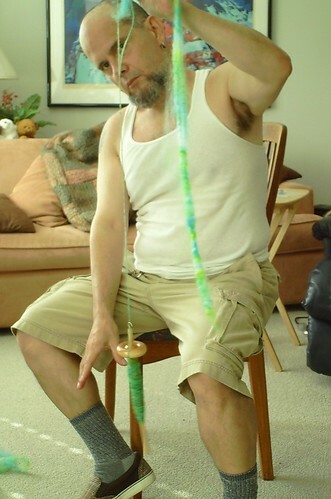 I think this is a great part of the hobby to be able to spin some fiber if the mood strikes you. One thing is for sure, practice, practice and more practice. 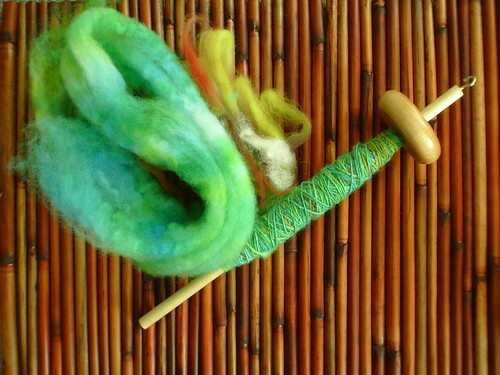 The above picture is the same roving as the one below, I just decided to see if I could dyed it and I was able to. I had a lot of fun doing this homework for tomorrow's class which will teach me how to ply. This is the last picture of me doing some drafting on the go as I spin a bit. I promise to have some Alpaca next time it6 will be a lot of fun. Thanks for stopping by!